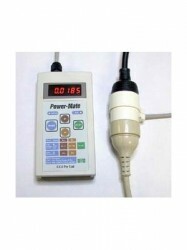 SKU: POWER MATE-15A. Category: Sustainable Products. Tag: Energy saving. NOTE: This meter will not plug into a standard 10 amp wall socket. The meter comes with both a 15 amp plug and socket which have a larger earth pin. The Power Mate consists of a hand-held meter which can be connected to the appliance it is measuring via a simple 15A piggyback plug and socket set. The meter features an LED display for easy reading and high visibility at all times. 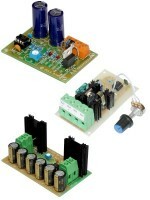 The meter can tell you a variety of measurements including: power in watts, voltage and current. The meter can tell you the minimum, maximum as well as instantaneous readings. The meter can also tell you: cost of running the appliance, how much energy the appliance used in kilowatt-hours and how many kilograms of greenhouse gas emissions it produced. All in hourly, yearly, quarterly and accumulated figures. Click here to download the User Manual in PDF format (450Kb). Link to Manufacturers FAQ List.